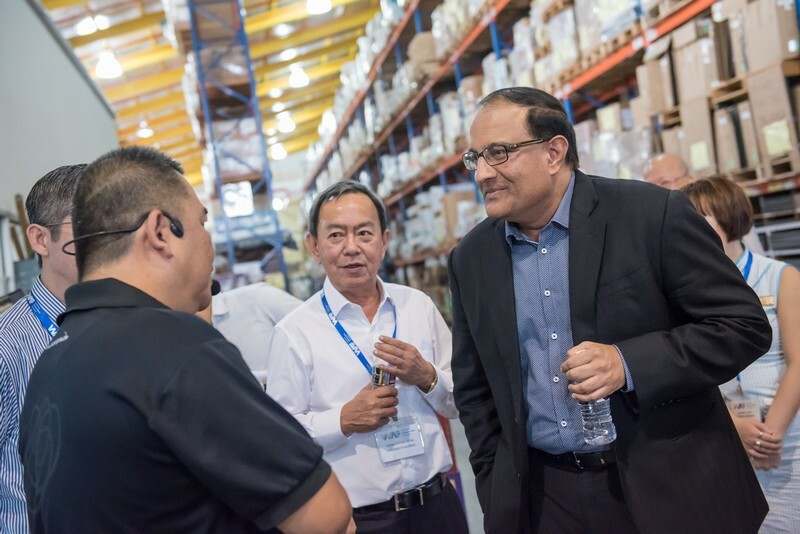 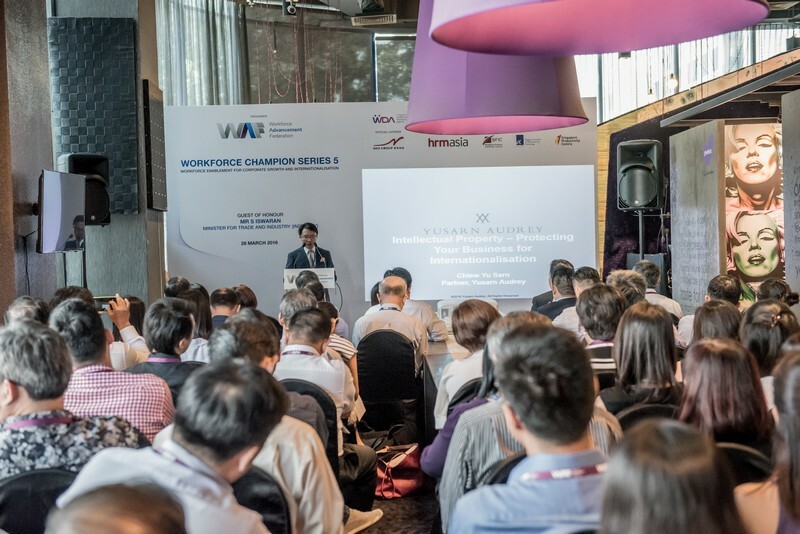 The 5th Workforce Champion Series was held this afternoon at the premises of Goodrich Global Pte Ltd. Graced by Mr S Iswaran, Minister for Trade and Industry (Industry) and supported by the Singapore Workforce Development Agency (WDA) and IE Singapore, 50 business owners and HR professionals were gathered to hear the success story of Goodrich Global Pte Ltd – from a small company in 1983 to a regional brand in 8 countries today. 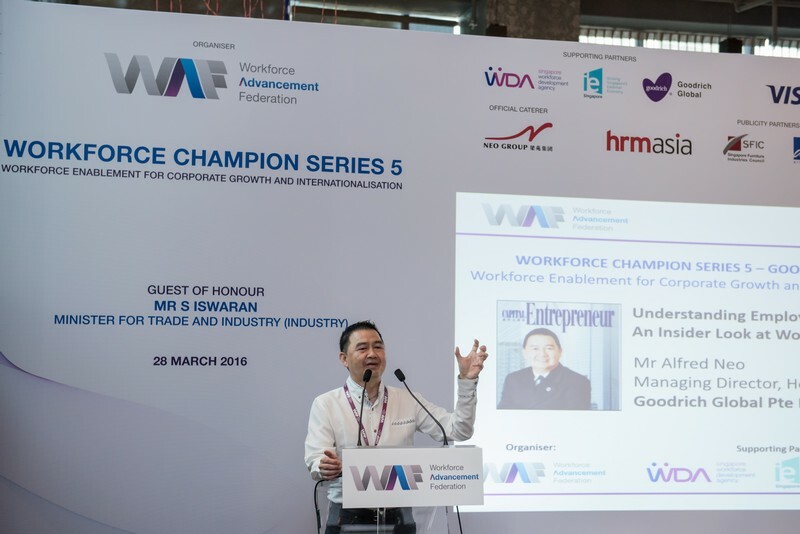 Having recently clinched the Best Employer for SME by Aon Hewitt in 2015, the group points out that one of its strategies to keep employees with the company was to grow the organisation beyond local shores. 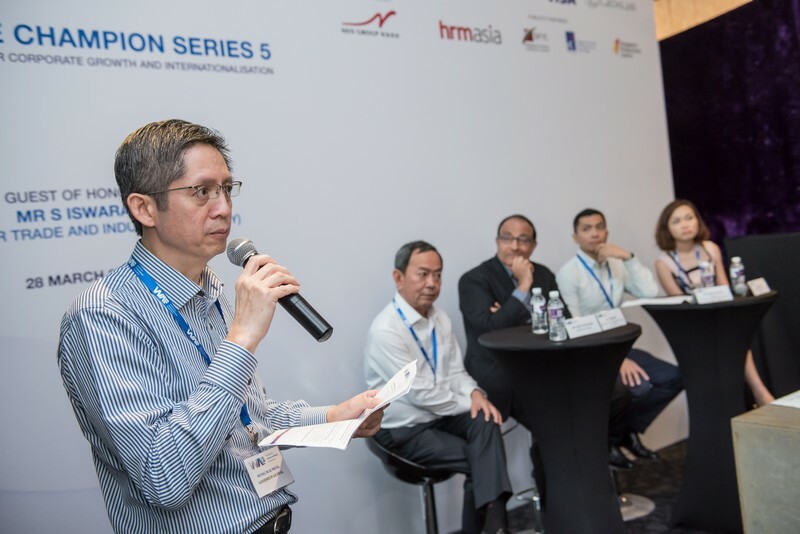 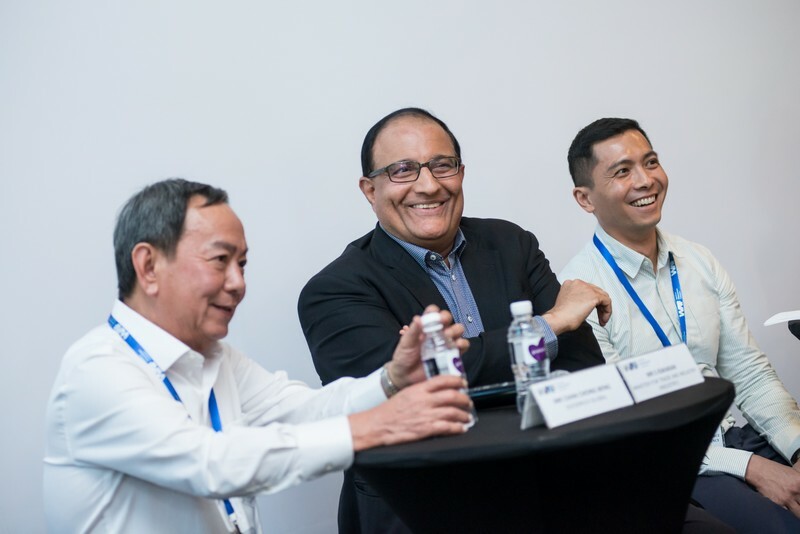 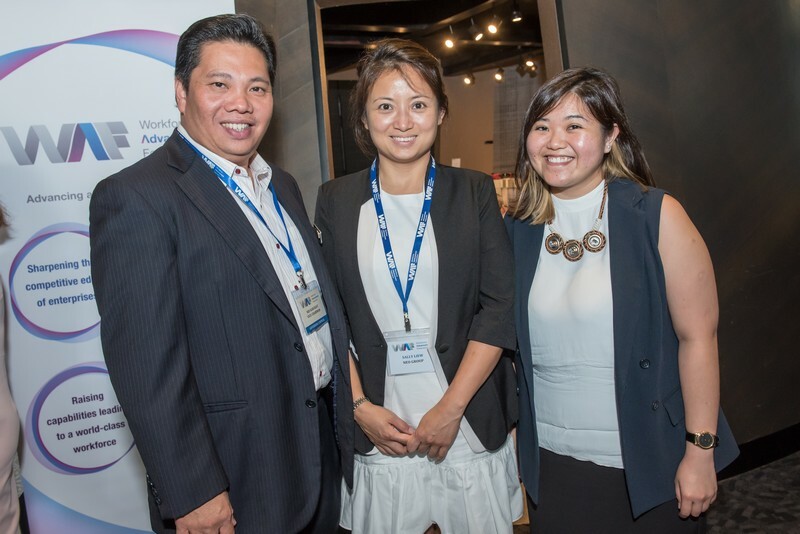 "The learning journey hosted by entrepreneurs for fellow entrepreneurs is a good way to help SMEs be exposed to best practices from their peers. 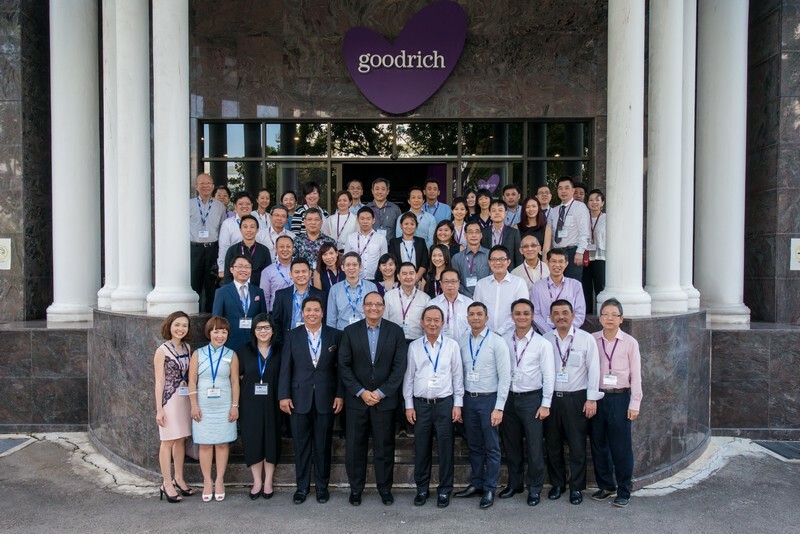 This platform allows us to mutually share, learn and mentor each other to build a more robust HR in our companies."